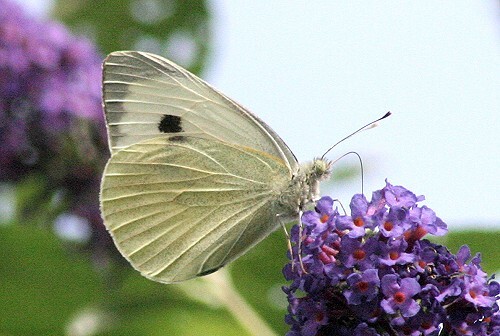 Special features: The UK population is swelled each year by swarms of large whites arriving from Europe. The caterpillars feed on brassicas. The leaves of these plants contain high concentrations of 'sinigrin' or mustard oil. These toxic oils accumulate in the caterpillars body and deter predators from eating them. Food: Nectar. The caterpillars feed on brassicas and cabbage. Habitat: Meadows, hedgerows, downs and wasteland.